Just a quick post today while I'm getting ready for a party! It's my boyfriend's sister's 30th birthday party tonight and it's a 20s theme fancy dress so I have my outfit all laid out on the bed ready to go in an hour. 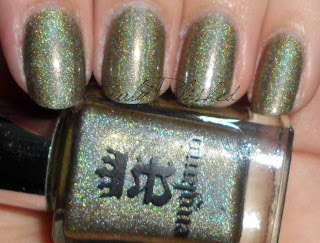 Today I have my first A England polish to show you. I bought two from them a little while ago when they had a 30% sale, I couldn't resist! I bought Princess Sabra and Ascalon, and it's Princess Sabra that I'm wearing today. 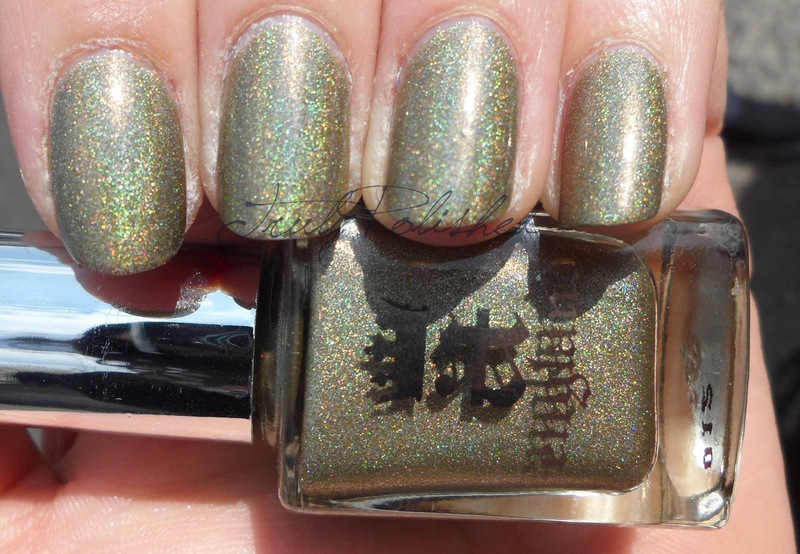 It's an olive green polish with a really pretty scattered holographic. The colour is an almost perfect match for Adina's cat Tristam, so you'll find "Tristam Eyes" written above the polish name. I think this is a really nice personal touch! The holo effect is actually really strong on this, so strong that it looks linear at times! The formula on this is really sheer, so I used three coats for the photos below with Seche Vite on top. I am so in love with this polish!!!! It's so beautifully subtle! You can buy it here for £9 with free domestic and international delivery. They also sell it at Llarowe.